Jesus posters can literally save lives. Pictures of Jesus Christ show people the greatest reality in this world: God became a man, to die for us and give us eternal life and forgiveness of sins. 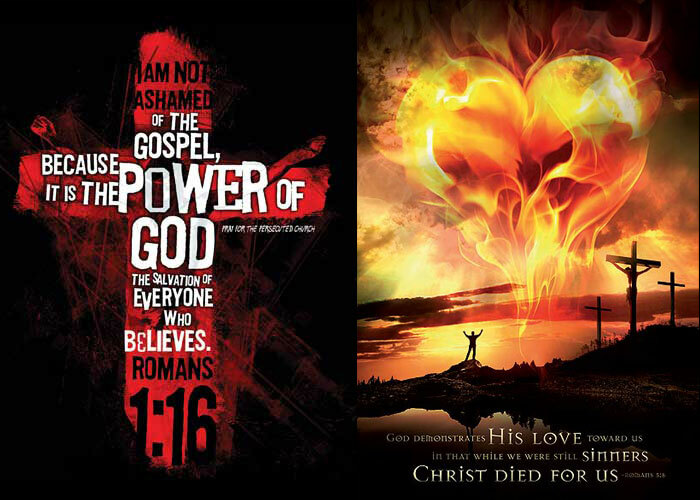 Use these posters of Jesus Christ to bring His salvation to the world. Click here to see all our Jesus posters! We know the famous saying that an image is worth a thousand words. 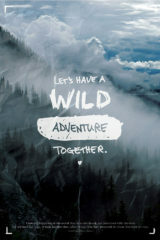 What happens if you combine words with images? The effect multiplies! The impact can last a lifetime, because people keep Jesus posters for many years. Jesus posters are great to witness to others. People tend to think that faith in God is old fashioned and boring. 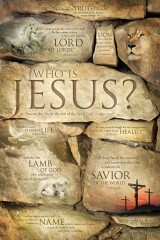 These cool Jesus posters can help to show to others that Jesus Christ is very much alive today. He can save and set people free today! He is not a relic from the past, but He is here to transform all of us. Use these Jesus posters to tell people about the reality of Jesus Christ, who can to die for us and save us, so we can be children of God. Jesus Christ did to bring a religion, He came to bring salvation, healing and deliverance, forgiveness of sins and a brand new life with God. Jesus Christ is the most amazing person we can imagine. He is full of the gory of God in all His ways. He came to this world to show us exactly who God is. He expressed the heart and character of God in a perfect way. He is far more than a prophet or teacher or good man - He is the Son of God, the Word of God, God Himself, says the Bible. He came to set the captives free, to bring healing and salvation to the entire world. Everybody who believes in Him is saved from sin, guilt and eternal destruction and receives power to become beloved child of God. 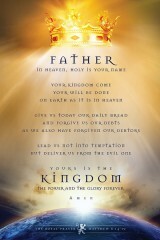 It is my desire that these Jesus posters will help you and many others to see who Jesus Christ is. 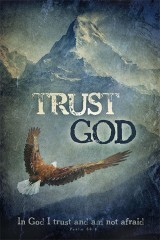 He is not a religion, He is life, joy, freedom, power, peace and so much more. He is the ultimate expression of God Himself. Without Jesus Christ we are dead in our sins, we are lost in a dying world, we are guilty forever. With Jesus Christ we are forgiven, brand new, born again from the Holy Spirit, written in the hands of God. It is not hard to become saved and set free. Simply bow down before Jesus Christ and ask Him to forgive your sins and become the Lord of your life. Bow down and surrender your entire being to Him. Ask Jesus Christ to become your Lord, your Friend, your God and King. Let Him be the One who sits on the throne of your life. Make Him the Master of your existence. Let Him have full control. Jesus will show you the path of life, the goodness of God, the heart of your heavenly Father. When you surrender to Jesus Christ and become a child of God, you will receive the heart and character of God inside your own being. It is then your choice whether you will start living out of this new heart or not. The Bible encourages us to WALK in the new identity we have in Jesus Christ. We can also choose to still life selfish, dishonest, proud and rebellious. But we also have the choice to submit ourselves to His godly discipline and become true children of Gd who obey there loving heavenly Father. I encourage you to make a radical and lasting choir to become a true child of God, through faith in Jesus Christ. And obey Him. Love others the way He loves you. Give grace to others and walk in truth. Don’t use or abuse others, but serve them. Become a true light in this world, because Jesus Christ is the light in you. Let’s be this bright light. Let’s not be religious hypocrits, but be true, honest, radical and pure. Let’s represent Him as He truly is. 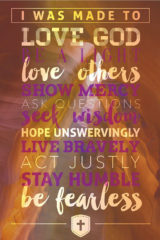 And use these powerful Jesus posters to remind yourself and others about the intense glorious Person of Jesus Christ who gave all He has, for us, to become Gods precious children.